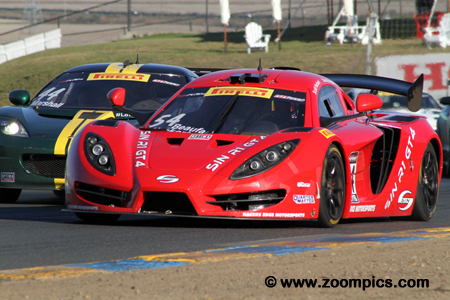 Sonoma Raceway hosted rounds sixteen and seventeen for the GTS cars in mid-September. During the event, drivers would compete in two 50-minute races around the 12-turn 2.385-mile road course. 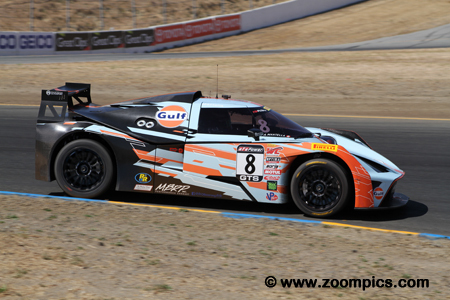 After this weekend, there would be just two point scoring races in the season finale at Mazda Raceway Laguna Seca. Competitors had to balance risk with reward in order to maximize their points and earn the Driver and Manufacturer titles. 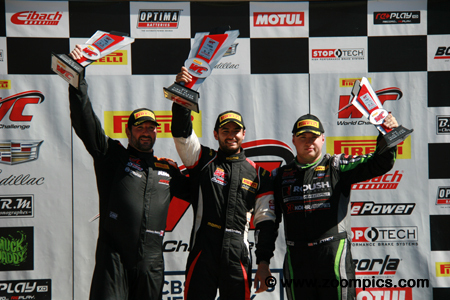 The World Challenge GTS podium for round seventeen at Sonoma Raceway. On the left is second place finisher Anthony Mantella and to the right is Saturday’s winner, Nate Stacy. Between these two is the winner Brett Sandberg whose flag-to-flag victory would increase his points lead in the Drivers’ Championship. GTS points leader and driver of the ANSA Motorsports KTM XBow GT4, Brett Sandberg started from the third grid position in round sixteen. Sandberg fell down the race order after a spin and was sixth at the checkered flag. The following day he fared much better. Recording the fastest lap in Saturday’s race meant Sandberg was on the pole for round seventeen. He led every lap and won by 2.654-seconds. Round sixteen was the last race of the day. Nate Stacy in the No. 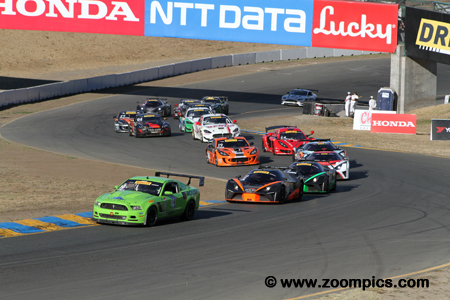 14 Ford Mustang Boss 302 leads the field of seventeen GTS cars into Sonoma Raceway’s corner two. 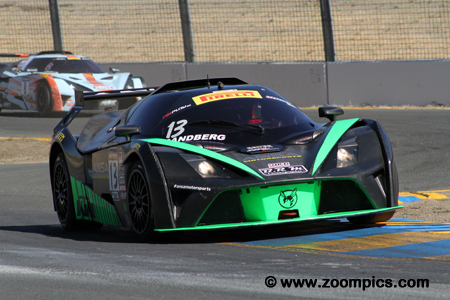 Behind Stacy is the KTM XBow of pole-sitter Hugh Plumb. Following Plumb, is his teammate and GTS points’ leader Brett Sandberg. Demonstrating the KTM’s competitiveness are the other two entries of Mantella Autosport in fourth and fifth. Anthony Mantella was coming fresh off a win in the previous event held at UMC. Mantella started round sixteen from the fifth grid position. He was among a number of drivers challenging Stacy for the win but finished twelfth. The driver of the No. 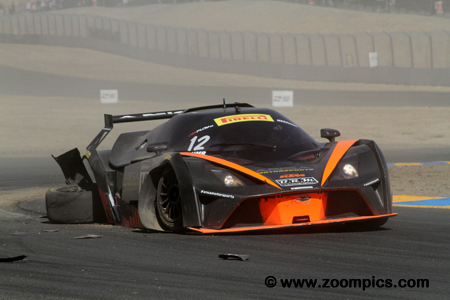 8 KTM XBow was gridded third for Sunday’s race. Mantella chased second place Stacy for much of the event but an outside pass at the turn nine ‘Bus Stop’ netted him the runner-up spot. 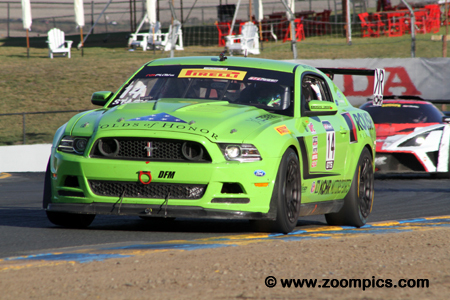 In Saturday’s race, 16-year old, Nate Stacy driving the Roush Performance Ford Mustang Boss 302 became the youngest driver to win a GTS race. Stacy’s first World Challenge victory was at the age of 14 in the Touring Car B class at Canadian Tire Motorsport Park. Starting second and despite numerous challenges for the lead, it was a flag-to-flag win. The following day Stacy started second and finished third. Hugh Plumb competed in the World Challenge Championship from 1997 to 2001 – winning many races. Plumb left the series to participate in ALMS and Grand-Am events. It appeared that he had lost none of his speed and despite driving the KTM XBow GT4 for the first time he qualified on the pole for Saturday’s race and took the final spot on the podium. It did not go as well the following day – he retired after an incident with Kevin Marshall. Driving the No. 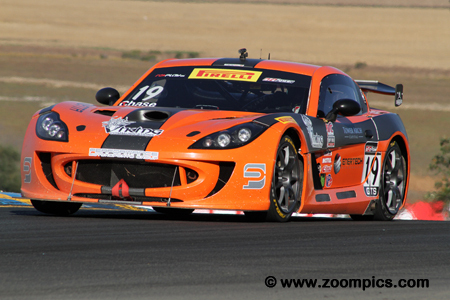 19 Performance Motorsports Ginetta GT4 was 15-year old Parker Chase. Chase had a solid weekend. He started round sixteen in the sixth grid position and finished second – Chase was closing on eventual winner Stacy but ran out of time. On Sunday, he was behind Stacy at the checkered flag – this time, it was in fourth. The No. 62 Maserati Gran Turismo was driven by Mark Klenin. 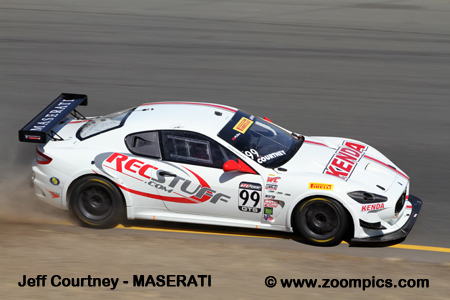 In round sixteen, Klenin started behind fellow Maserati competitor, Jeff Courtney. During the race Klenin was able to get past Courtney and finished eight. 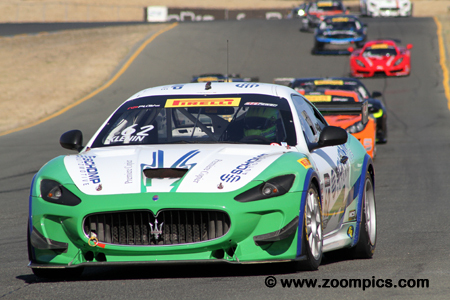 The following day he was gridded fourth and jumped to second place at the start. Unfortunately, Klenin spun at turn two and caused the first caution period. After the incident, the car was off the pace and he finished eleventh. Another driver having a good weekend was the winner of one of the Utah Motorsports Campus races Scott Heckert. Driving a SIN R1 GT4 prepared by Racers Edge Motorsports he qualified seventh in the weekend’s first event and captured a fourth place finish. In round seventeen, Heckert started from the ninth position on the grid and was fifth at the checkered flag. Four-time World Challenge champion, Lawson Aschenbach had a scheduling conflict and competed at COTA in the IMSA series Saturday morning. 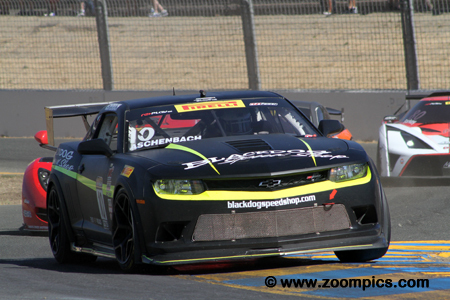 Aschenbach was able to make Saturday’s afternoon race but without a qualifying time, he started last. At the checkered flag, he was in the eighth position. The following day Aschenbach started and finished sixth. As a result, he fell further behind Sandberg in the title chase.